Clever Craft Ideas + CleverPatch GIVEAWAY! I love that Miss M is getting to the age when we can enjoy doing art & craft together. 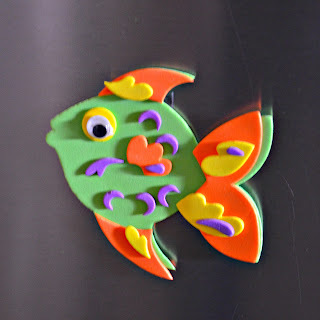 So I was thrilled with CleverPatch sent me another box of crafty goodies and asked if I'd like to host a giveaway. I said yes! Keep reading to find out how to enter and win a box of goodies worth $50. Miss M loves to "mix all colours" when she does painting, so for this activity I restricted her to blue, yellow and green so that the end result wouldn't end up a shade of brown and would somewhat resemble the ocean (these water colour paints are my own). Once dry she had fun decorating it with these fantastic sea creature stickers. 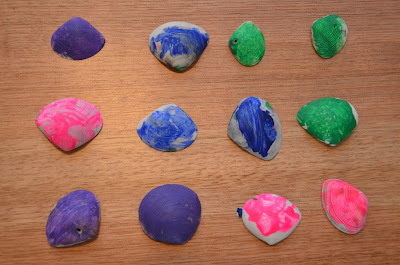 A super quick and simple activity for all ages! This flower & tree were lots of fun to paint. 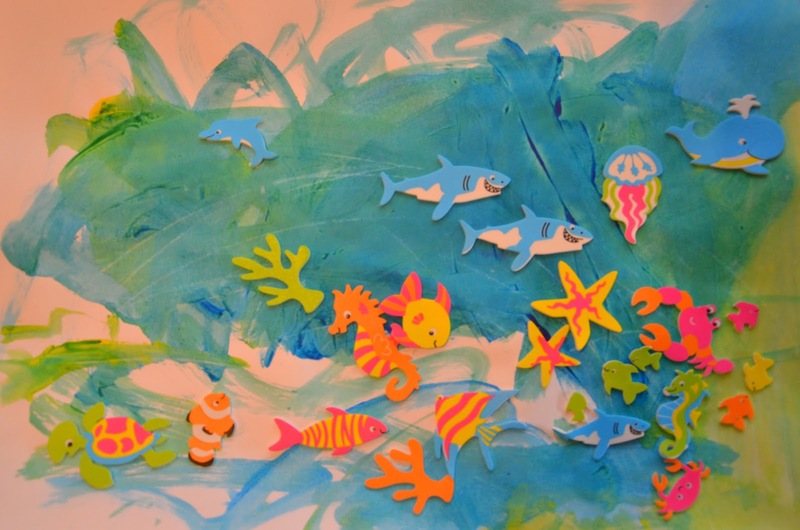 We used our own paints and there are endless possibilities for decorating them. They'd make a great gift! 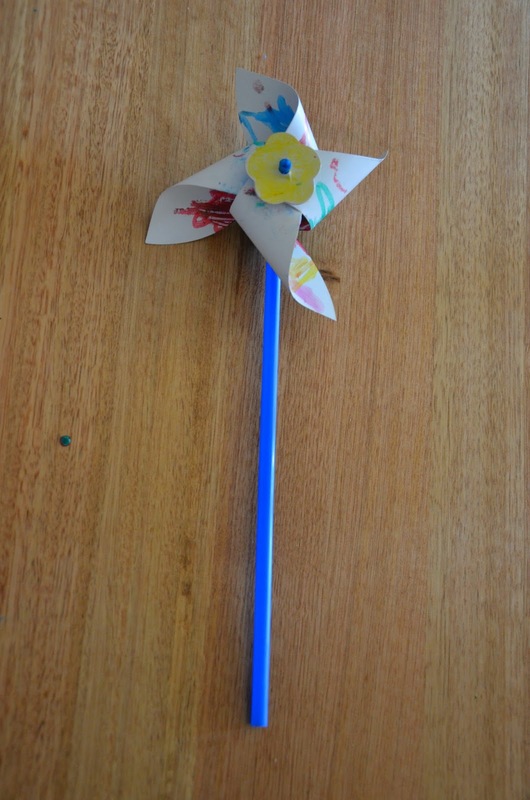 These windmills are super cute and come in a packet of 8. Little ones can enjoy decorating and older children can have a go at assembling it themselves by following the simple instructions included in the pack. 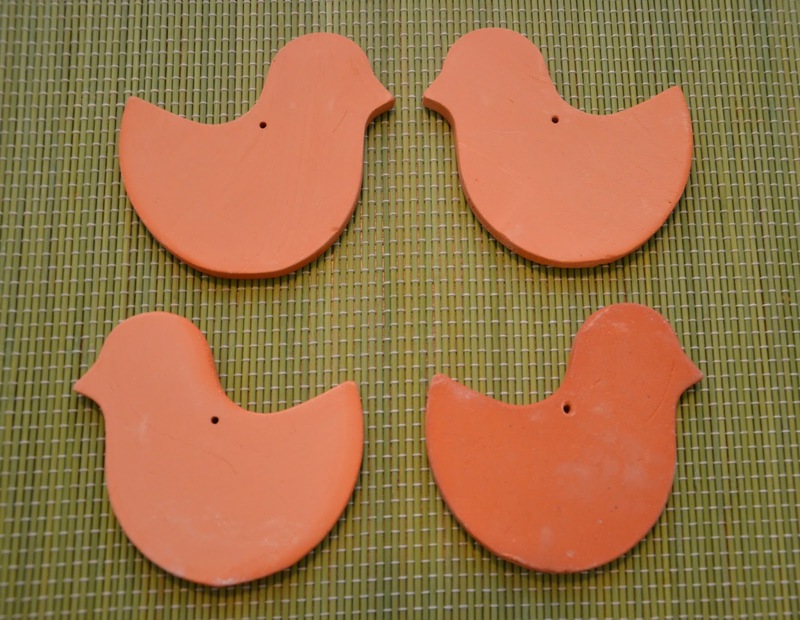 I'm still deciding what we might do with these cute little terracotta birds - paint and decorate and hang from the cubby house verandah maybe? This was a special Mother's Day gift that Miss M and her cousin made for their Nanna. 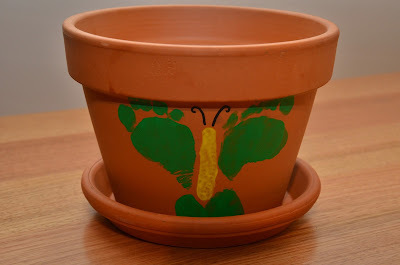 I bought this pot myself, but CleverPatch sells them too. These are some shells Miss M collected from the beach, but you can also order them through CleverPatch as part of their 'naturals' collection. Still deciding what to make with these - maybe a mobile? Enter your name and email below to subscribe to the CleverPatch newsletter. The winner will be selected by me (Lauren of Teacher Types) based on the best and most creative response to the question. This competition will run for the entire month of June 2015, and a winner announced in this blog post in the comments and on Facebook on Tuesday the 30th of June at 8pm (Adelaide time). This competition is open to Australian residents only. The winner has one week to contact me with their mailing address and I will pass it on to CleverPatch. There is no postage cost to the winner. I love to have crafternoons, with kids big and small. It gets them away from the TV or iPad, it gives you both the chance to talk about what you're doing, it develops their skills and you have a final product to show of. Yay for craft!!! the best thing about craft is giving a child of any age a blank canvas of any type and seeing what they create... imagination! I am craft mad. I see craft in everything around me. I recycle ,reuse and create. So great to reuse and recycle! Spot on Natasha! Thanks so much for entering the giveaway! Absolutely Christie - they have amazing imaginations don't they? Thanks for your entry in the comp. My son (4) and my mum (nanny) spend the whole week planning for crafts on Friday. The excitement and planning is huge! From forests to rock animals to dragon painting to racetracks, there is freedom, creativity and much, much happiness. 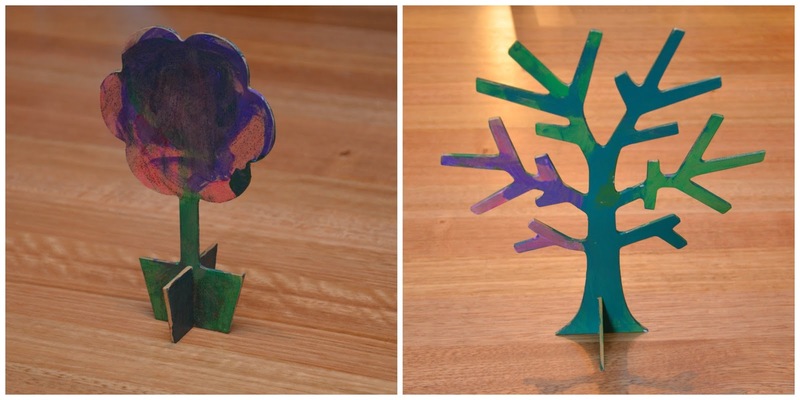 As a play coordinator in a children's hospital (before retiring) working with many immobile children, nanny is showing my son that through arts n crafts imagination is limitless, a box could be anything and there's fun in everything. PS Love your site. Never a dull moment choosing what to make and create amazing things with all children on our Vacation Care. Like Christmas opening up the box. I used to work in Vacation Care Cheryl (before I started teaching) - and you are right, there was never a dull moment. 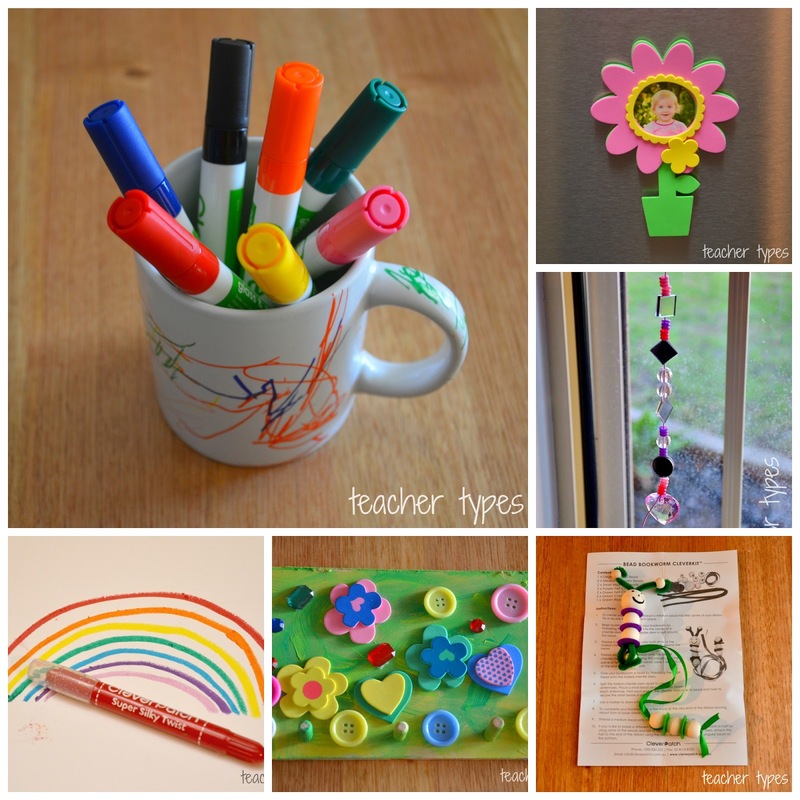 We were always looking for new art and craft ideas to keep the kids (of all ages) interested. Both my young girls love art and craft. It's special time to spend together when we can just stop and enjoy spending time with each other while letting their imaginations grow. Looking forward to school holidays to take some "time out" and 'make stuff" as my youngest says. Sounds lovely Anneta - I'm sure you and your girls will love the school holidays coming up. Thanks for your entry in the giveaway - only a week to go until the winner will be announced! I love watching my children release inner expressions, by creating masterpieces. It is a magnificent way to see through the eyes of our children the world that they see. What an inspiring comment Philippa! I hadn't thought of it from the cultural perspective, but you are so true. Thanks for entering the giveaway!